Shadow Work® offers an opportunity to look at ourselves through four basic archetypal energies we each carry within. We learn how to use these energies in our lives with intention and focus, to fulfill our purpose and manifest our dreams. Lover Energy allows us to access our emotions, connect with others and pay attention to the wisdom of our body. Warrior Energy teaches us to set boundaries and protect ourselves. This is an important energy to use to access our power. Magician Energy guides us in transforming our perspective and using our intuition and intellect in productive and powerful ways. Sovereign Energy clarifies our passions and visions while supporting us in pursuing these dreams for ourselves, as well as blessing others. Shadow Work® is a personal growth process to bring awareness to the hidden aspects of ourselves, empowering us to use our energy as we choose, with intention and clarity. We bring light to those parts we hide, repress and deny, even our gifts and magnificence. In Shadow Work® we explore the inner landscape and discover the gifts available in our shadow. During this weekend, you’re invited to participate in a variety of processes, creative expressions and meditations to assist you in connecting with your GOLD! Becky Schupbach is a certified Shadow Work Facilitator and Coach. She has a passion for combining healing work and artistic creativity. She is also a facilitator for Woman Within and Women In Power. She leads SW weekends with her husband, Jeff Baugher. Visit her website at www.archetypalarts.com. Contact Becky at whitewolf1616@yahoo.com or 502-419-2186. Bridget Benton Carwyn, M.S. is a certified Shadow Work® Facilitator and Coach and Certified FourSight® Facilitator. 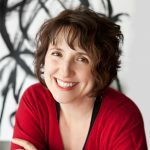 She is also an artist and the award-winning author of the creativity workshop-in-a-book The Creative Conversation: ArtMaking as Playful Prayer. Bridget has been guiding people through transformational creative experiences since 2003 and her passion is helping people change the stories that hold them back. E-mail her at sparky@eyesaflame.com or visit her website at www.eyesaflame.com. A $100 nonrefundable deposit holds your space. To pay by credit card, use PayPal to send payment to Woman to Woman WNC.